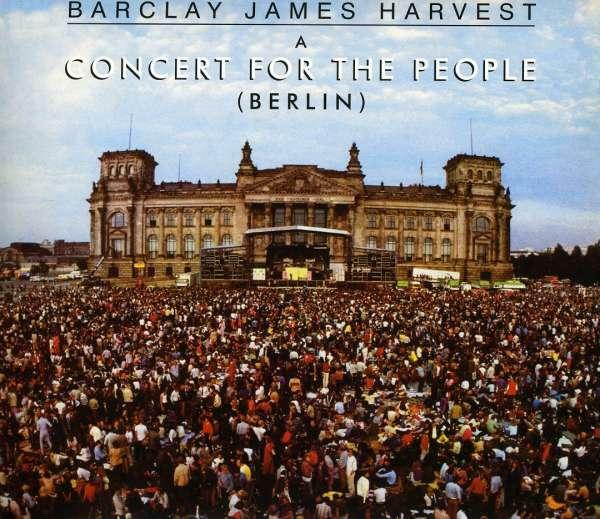 Barclay James Harvest - "Berlin - A Concert For The People"
Perhaps the crowning moment of Barclay James Harvest’s career, their legendary concert on the steps of the Reichstag in Berlin on 30th August 1980 saw the band launched as superstars in continental Europe. Performing next to the Berlin wall, the concert attracted an audience of 175,000 people. It was later televised throughout Europe. The resulting live album, entitled ´Berlin - A Concert For The People´ for Germany and ´A Concert For The People´ for the rest of Europe, was the most successful Barclay James Harvest album to date in both the UK (where it remained a top twenty fixture for some weeks) and in Germany and Switzerland where it reached number one. Now this memorable concert is released again on CD. This expanded reissue has been re-mastered from the original master tapes and contains two bonus live tracks.